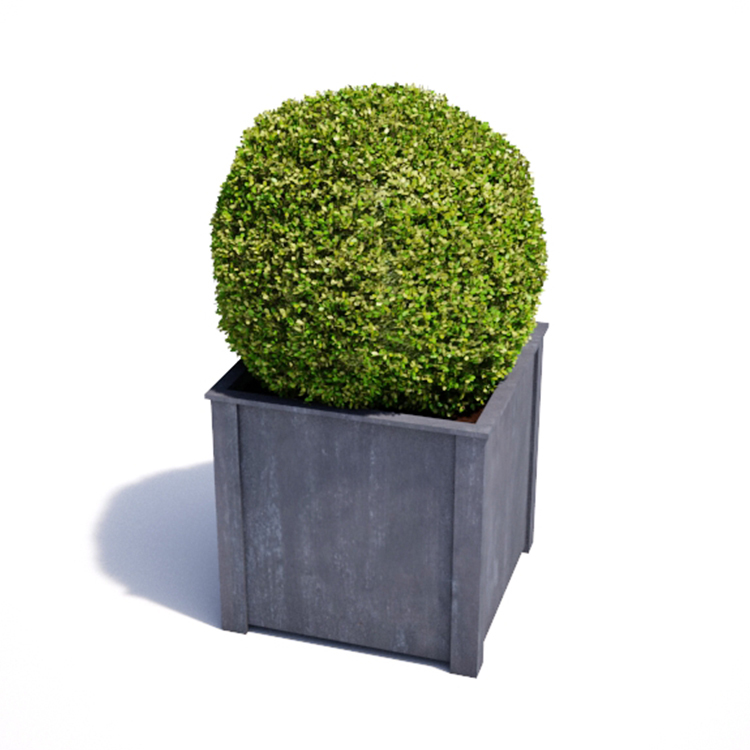 This zinc galvanized steel planter is made by us in Bath. The corner legs create stability and the raised base has several drainage holes. 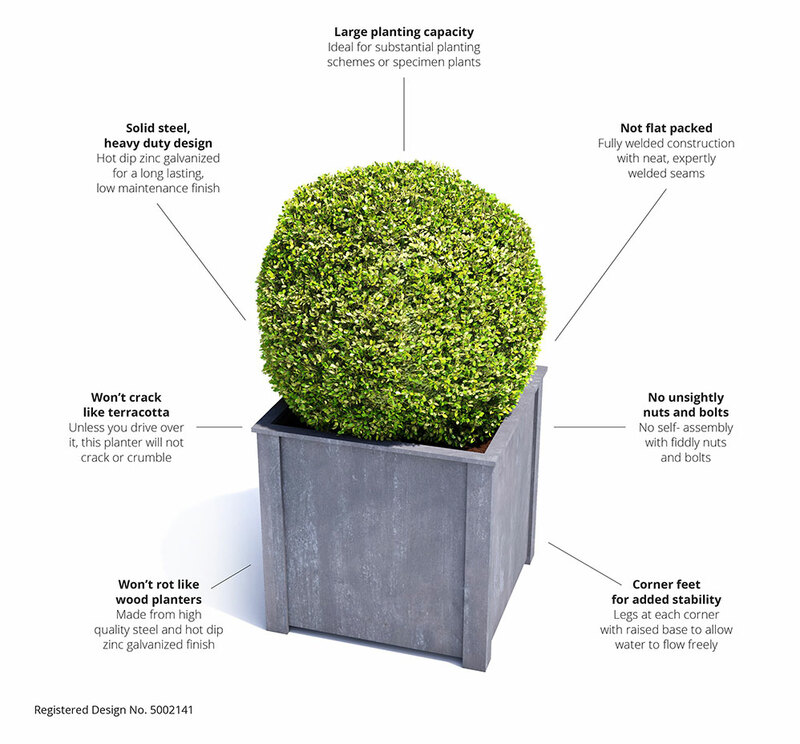 The planter is fully welded and requires no self-assembly. Bespoke sizes to order.